Crosshair Pair of E.J. 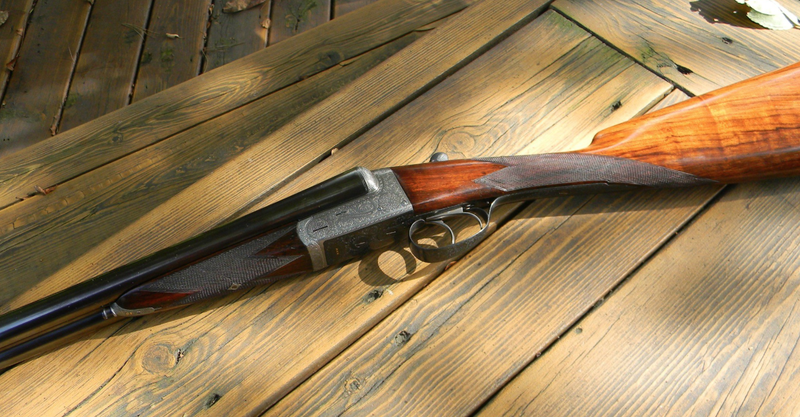 Churchill 12 bore “Utility Model XXV” 2in. doubles w/assisted opening. Pair of E.J. 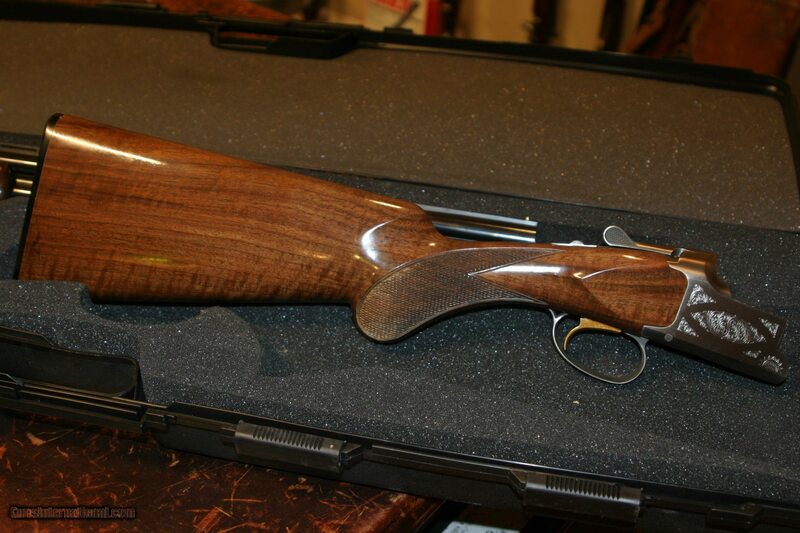 Churchill 12 bore “Utility Model XXV” 2-in. 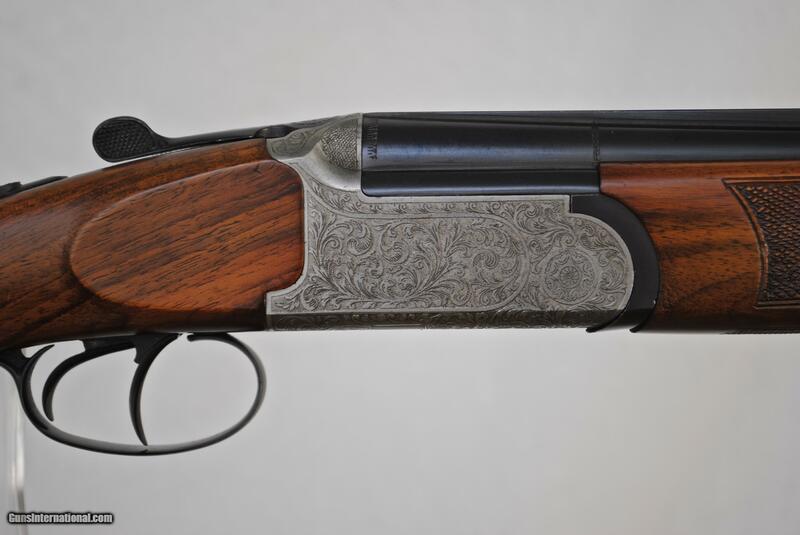 SxS doubles w/assisted opening: A beautiful pair of E. J. Churchill 2in. 12 ga. Utility Model XXV assisted opening doubles. The best bouquet and foliate scroll engraving is perfect and, as most of that era, high-class English doubles, the quality is superb. All markings are proper for a pair. The no’s. 1 and 2 done in gold along with the designation XXV. In my experience, pairs of 2 in. 12’s are not very common and these are outstanding! Price: $8450. Weight: No. 1 5lb. 7 oz. ; No. 2 5lb 4 oz. 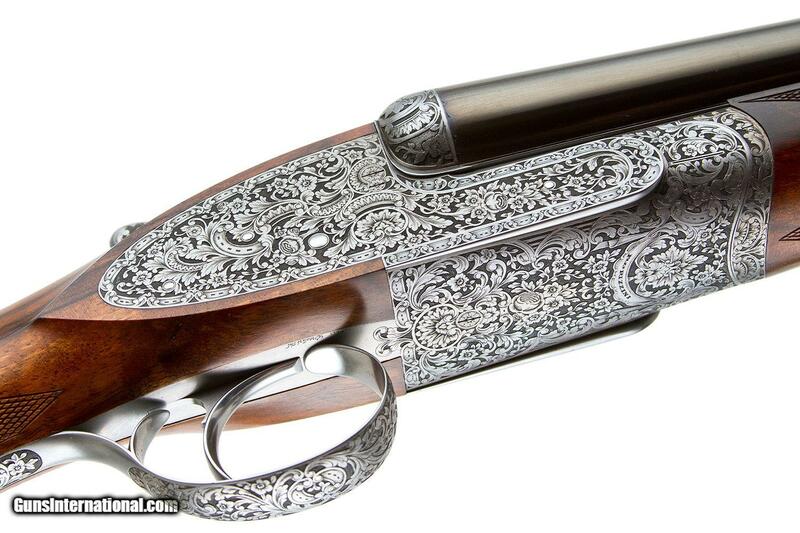 BROWNING CITORI FEATHER 16 GAUGE: AS NEW, RARE BROWNING CITORI FEATHER FIELD GUN IN 16 GAUGE! LIMITED PRODUCTION RUN. BUILT OFF THE LITE WEIGHT 20 GAUGE FRAME (6LBS), FEATURES 28″ VENT-RIB BARREL WITH INVECTOR CHOKE SYSTEM. LOP 14 1/4″-1 1/2″-2 1/4″. Price: $2,800. 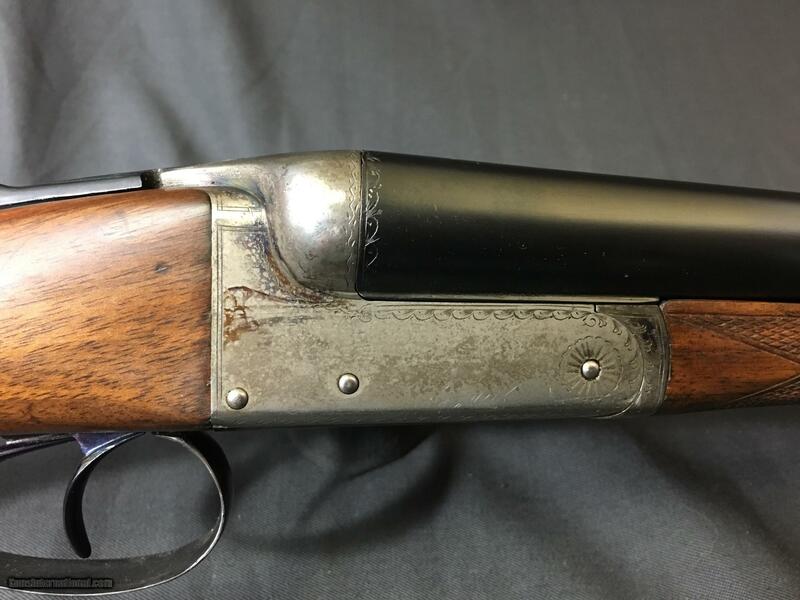 FAMARS 28 GAUGE OU SHOTGUN – HIGH CONDITION: Here is a 28 Gauge Famars made for the European Market with double triggers, swivels, and extractors. Barrels are 27 7/8″ with screw in chokes (IC and IC). Looks like a Briley thin wall pattern. Top of barrels are engraved “Armi Famars”. Chambers are 2 3/4″. Manual safety. Shipping is $40. Stock dimensions: LOP – 14 7/16″, Drop at Comb – 1 1/2″, Drop at Heel – 2 1/4″ Price: $1,450.